Max Azarov, President at Cloudike, contributed to this article. In 2015, the World Bank ranked Russia 51st among the best countries to do business. That’s behind countries like Kazakhstan (41), UAE (31), and Macedonia (12). Yet, in 2013, our first customer, mobile service provider (MSP), MegaFon, was based in Russia. And I can honestly say, despite what the World Bank might say, we’re right where we want to be. We launched our white label cloud solution, in 2013. At that point, cloud usage wasn’t widely adopted in Russia per se. I mean, like everywhere else, Russia had early adopters and tech enthusiasts active on the cloud. 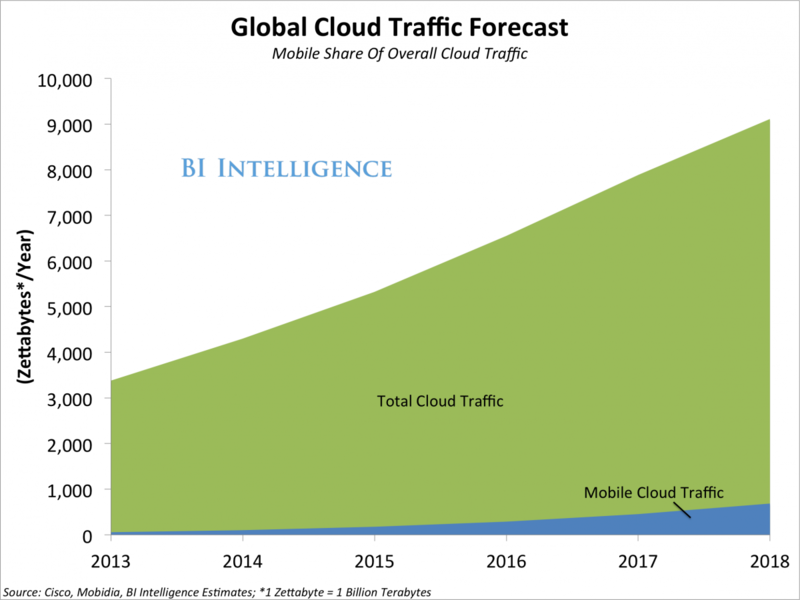 But even then we couldn’t foresee a future where cloud wasn’t part of the mobile future. At the time, over-the-top (OTT) clouds remained prevalent. So your Dropboxs and Google Drives still reigned supreme. But after doing some research we found that MSPs had quietly managed to hold onto 35% of the personal cloud market share. Think about it, without as much as a headline (and in some cases, a lackluster product), MSPs had laid claim to a battlefield they’re rarely even mentioned on. “So why Russia?” you ask? Consider that, Eastern and Central Europe are seeing some of the world’s fasted mobile phone internet penetration rates. 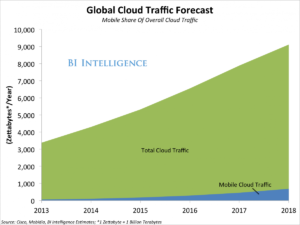 And while it’s confirmed now, we banked on cloud usage becoming prevalent; in 2014, 89% of internet connected users were already accessing cloud, and access rate from mobile in 2013 to 2018 is set to grow a whopping 63%. So in one corner we have internet users actively accessing cloud. In another corner, we have access rates rising. So you can do the math: More and more people were using their mobile phones to access cloud; and those who were accessing the internet were using cloud; finally, among those who were accessing cloud, mobile users were the fastest growing customers. So, we believed that emerging and developing economies – who were just scratching the service in terms of connectivity – to be where we wanted to do business. Russia just happened to be 51st, on the World Bank’s list, for us, it was easily on our wish list. While we had our target markets laid out, we needed to find an MSP where we could launch Cloudike. At the point of launch, neither I, nor my two co-founders, had any MSP connections to speak of. Some of our outreach and business development efforts included sifting through relevant LinkedIn profiles and finding people who were working at MegaFon and other MSPs in Russia (where I was at the time). Through chance, we finally secured a meeting with MegaFon (at the time, their department who dealt with B2B opportunities, MegaLabs). Looking back, we had no idea what to expect at this meeting. Dealing with MSPs for the first time we brought all of our figurative guns to the meeting and put them on in full display. Between LG vouching for our product, a top-of-the-line white label personal cloud, and an experienced team, we needed to put on a show. But perhaps more than all of that, we needed to show them our vision of cloud being the next ‘perk’, if you will, of mobile phone service. To reiterate, remember when you signed your phone contract? Your local dealer brings out a laminated card with a table on it listing all of your phone options ranging from your voice minutes to internet usage. We needed to sell MegaFon on the dream that cloud services should be present at that table (to both entice the consumer and provide another source of revenue). Given the average-revenue-per-user (ARPU) before mobile subscription fee is around 330 Rub (or about $5) you can imagine that e-commerce or OTT subscription rates are not inherently high. And even when consumers opt to spend money, getting a piece of that $5 pie is going to be really competitive. Considering that, Dropbox’s Pro option (when you exceed 2gb) $9.99/month is almost twice the total of the average mobile user’s ARPU, cloud in Russia really becomes an open battlefield – and that’s before factoring in data usage through cloud. What we proposed to MegaFon wasn’t even to cut away from their subscriber’s ARPU, but by offering a white label storage cloud storage that integrates branding and billing into their existing plans, subscribers can use cloud while being billed on their existing plans at an affordable and scalable cost. All this while making sure cloud usage didn’t eat away at subscribers’ monthly data plans. Long story short, we sold them on the service and MegaDisk launched on November 7th, 2013. In emerging markets, even the dominant players face obstacles and require changes to their arsenal of goods. Take in this fact and survey your competitors, as long as your technology is up-to-par, it really will come down to who can adapt and convince their customers first. For us, we’re still banking on emerging markets because we know: When people get internet they’ll use cloud, and when they acquire mobile, they will look to integrate and access cloud again. Knowing this, we have no problem continuing to pursue these markets the World Bank has deemed not-so-business-friendly; because we know that once we offer an option that fits a target market, our customers will be there. Sejung works to provide PR for startups in Asia looking to expand internationally. When not helping startups go global, he can be found enabling his basketball addiction. Previous articleAsia Social Innovation Award 2016 – ​​A Call for Innovative Social Start-Up Ideas!